Interested in learning more about the flora and fauna on campus? 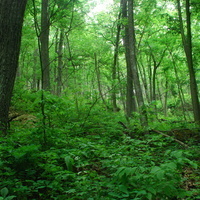 Join us on April 19 at noon for an Ecology Walk through The Glen with John Lehman from Landscape Services. The walk will start at the west entrance to The Glen, near the barbeque pit. Be sure to wear comfortable shoes.